Proposed Local Legislation was introduced to the Prince George's County Council to authorize speed cameras on September 22 by the County Executive. The bill labeled CB-37-2009 will be voted on in an upcoming session. There is a joint public hearing on all upcoming PG County legislation on Tuesday Sept 29 at 7pm in the Council Hearing Room. The Transportation/Housing/Environment committee will be discussing and voting on this bill on Thursday October 8 starting at 9:30am. The law authorizing speed cameras statewide goes into effect October 1 but requires each local jurisdiction to pass a local bill approving of their use. 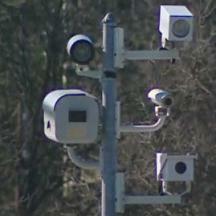 Some individual towns in Prince George's, such as New Carrollton, chose not to wait for county action and have already authorized speed cameras on their own, and Baltimore County recently voted to allow the devices. The State of Maryland will also be authorized to use workzone speed cameras on freeways with speed limits greater than 45mph 'regardless of whether workers are present' starting October 1.